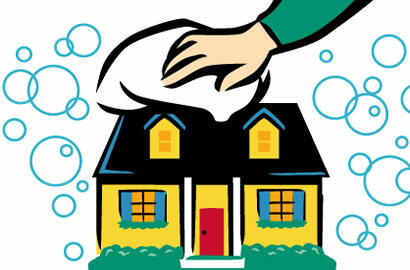 Bless This Mess is an affordable house cleaning service in Raymond NH and the surrounding area. Your home will be cleaned by me, Cari, only. My goal is to make sure you're happy with my services and trust me with the key to your home. I can come weekly or bi-weekly and pricing is determined based on the list of services that need to be completed. Since I keep close relationships with all of my clients and clean each house on my own I like to stay close to home. I service about a 10 to 15 mile radius from Raymond NH reaching out to towns such as Fremont, Deerfield, Chester, Candia, Kingston and Epping. Cari does such a great job cleaning my house and I have a lot more time available to do other things. I've known Cari for a few years now and she still gives the same 100% as day one. I'm so happy I switched to Bless This Mess for my cleaning services because I realized the last company I was using wasn't doing much at all! I feel very comfortable having Cari cleaning my house because she's trustworthy and I don't have to wonder if she's really doing the work because it shows!